ArtPlus EasyNoter - Special Release! We dedicate this version of EasyNoter to The Venus Project - An alternative vision of what the future can be if we apply what we already know in order to achieve a sustainable new world civilization. The Venus Project proposes a system in which automation and technology would be intelligently integrated into an overall holistic socio-economic design where the primary function would be to maximize the quality of life rather than profits. 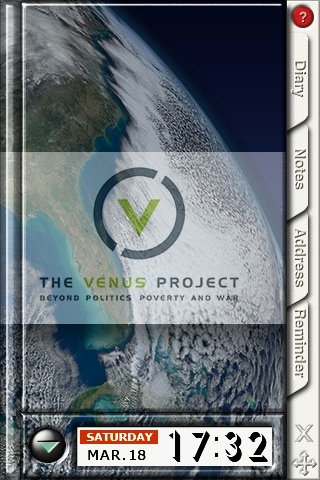 We created a special release of EasyNoter featuring The Venus Project on it's covers. Inner pages include additional information about the project. 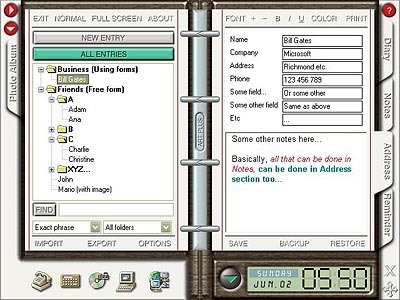 "Still Haven't found that personal information manager (PIM) software that will work with you instead of against you? EasyNoter is a straight-forward easy-to-use PIM with all the power and flexibility you'll probably ever need...", "For the flexible ease of use, the new powerful features, and the empowerment you'll receive, it's well worth the investment." - Run and use EasyNoter directly from USB key or memory card. - Use Cloud to sync EasyNoter to multiple computers. - Add your own programs and icons to Quick Launch. As of EasyNoter 4 you can customize not only default Quick Launch links but also associated program icons which makes it easier to work with. 1. 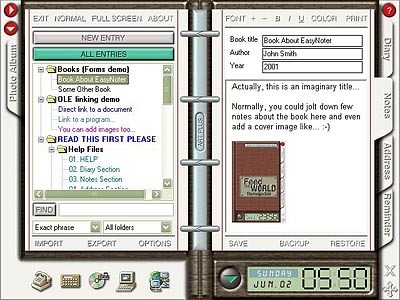 Right-click covers to bring up the menu. 2. 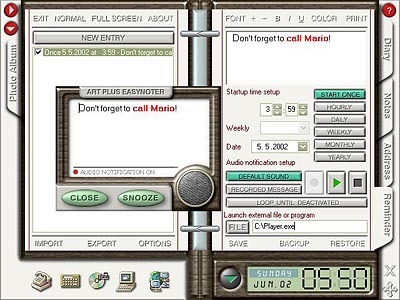 Select the "Open Design Browser" option. 3. 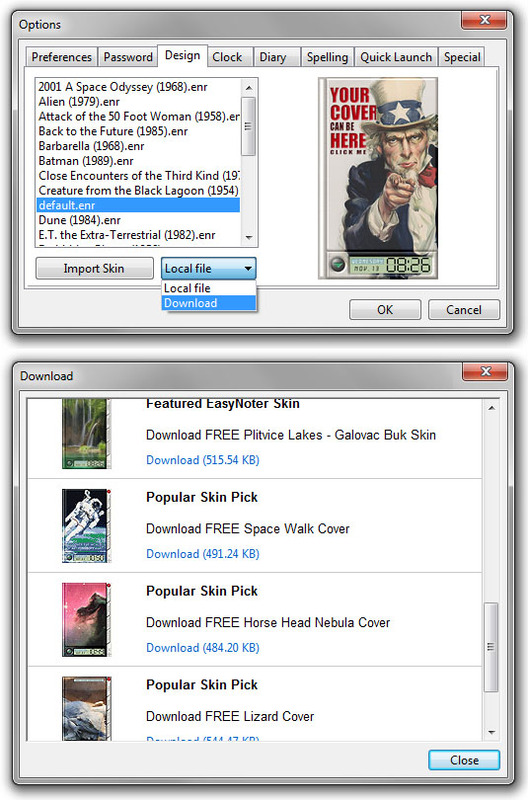 Select the "Download" option and click "Import Skin"
This will open the Download dialog with a list of featured skins currently available for download. Check this list occasionally as the featured list is constantly changing. We're adding new skins on a regular basis. You appear to be reading this on a mobile device. 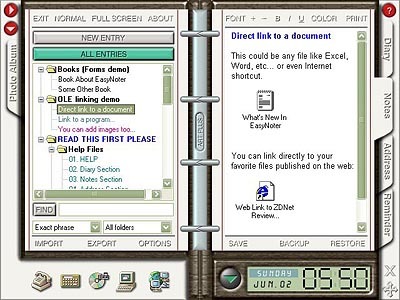 This software is designed for Desktop Windows PC! You should probably revisit on your desktop PC. Send yourself an email with the link to complete the download later. 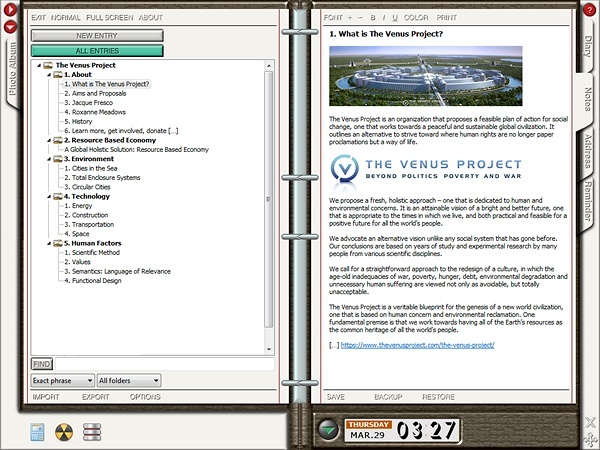 Current edition of EasyNoter is dedicated to The Venus Project. See the cover page below. 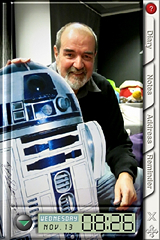 Special edition of EasyNoter created for Tony Dyson, man behind Star Wars R2-D2. 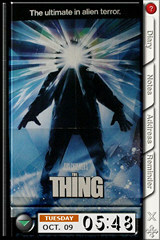 FEATURED SKINS: SF Movie Posters! 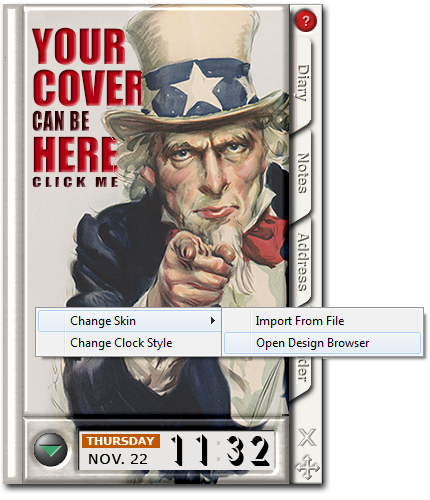 To download featured skins run EasyNoter, right-click on it's covers, select "Change Skin" and then click "Open Design Browser" button (See instructions below).